When will be The Further Adventures of SuperTed next episode air date? 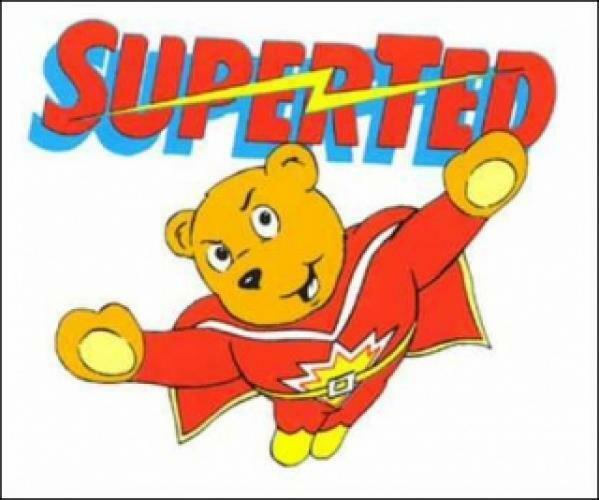 Is The Further Adventures of SuperTed renewed or cancelled? Where to countdown The Further Adventures of SuperTed air dates? Is The Further Adventures of SuperTed worth watching? This show follows the popular SuperTed, a Welsh cartoon of the early 1980s. The title character is a poorly put together teddy bear who became the best friend and partner-in-crimefighting of Spottyman, so named because he hailed from the planet Spot and had several green polka dots covering his yellow body. Spottyman took SuperTed to Mother Nature, who endowed him with super powers and a costume, giving SuperTed the ability to fly, fight crime, and bring adorable justice to everyone. In every episode, Spottyman and Superted battled villains such as Texas Pete, Bulk and Skeleton, sometimes with the aid of Spottyman’s sister Blotch or Speckle the Hoparoo. EpisoDate.com is your TV show guide to Countdown The Further Adventures of SuperTed Episode Air Dates and to stay in touch with The Further Adventures of SuperTed next episode Air Date and your others favorite TV Shows. Add the shows you like to a "Watchlist" and let the site take it from there.